In Florida, can you sue an uninsured or underinsured driver if they caused a car accident? Car accidents can be scary situations. They can be particularly frightening when you’re dealing with a driver who is uninsured. It can make your heart sink after a car accident only to hear the other party reveal a total lack of automotive insurance coverage. If you’re in the middle of this unpleasant situation, know that you don’t have to feel totally vulnerable and at a loss for what to do. There are numerous approaches you can take to get on the path to damage recovery. It’s vital to understand that having proper motor vehicle insurance coverage is not simply a bonus in the state of Florida. It’s a legal requirement. If you want to recover damages after an uninsured driver strikes your vehicle, your best option is to seek compensation from your insurance company based on your individual policy uninsured motorist coverage. If your insurance company denies this claim, you will have to pursue other options—for instance, filing a lawsuit against the at-fault driver. However, drivers who have no car insurance generally don’t have much money either, so this may not be a very effective solution. It’s surprisingly common for drivers to fail to purchase auto insurance due to negligence or not being able to set aside money for monthly payments. Despite the uninsured driver’s reasoning why they neglected to follow the law and obtain car insurance, options may still be available to you when it comes to obtain compensation after an accident. Judges sometimes request that uninsured drivers pay monthly fees to people who experience damages because of an accident they caused. These amounts, however, are usually on the lower side. If you can confirm that the uninsured driver has assets (property, valuables, investments, etc. ), that can also be a good approach. If the driver has any of these assets, liquidation may be another option to get you the payment you deserve. You don’t necessarily have to sue the uninsured driver to get the compensation you deserve after a Florida motor vehicle accident. It can also be a good idea to think about suing your own insurer if they refuse to pay despite having uninsured motorist coverage. Before you consider this route, you’ll want to carefully review your specific auto insurance coverage. 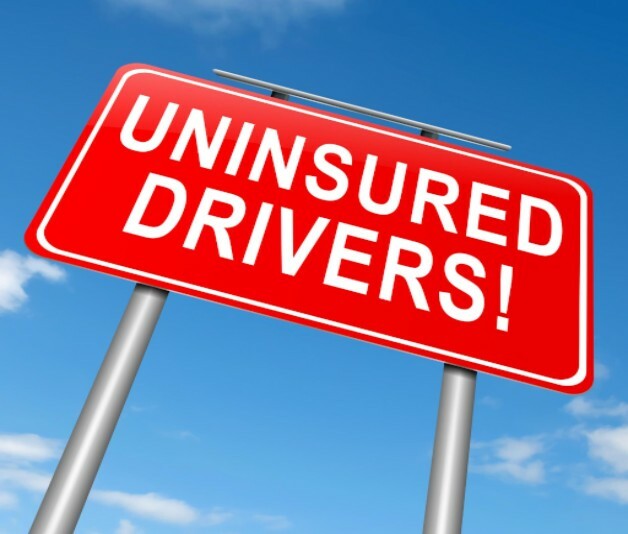 Find out if you have coverage that applies to accidents that involve uninsured motorists. If you do, this may be a strong damages recovery path for you. Waste no time after the accident happens. Alert your insurance company about the accident immediately. Tell the adjustor that you plan on filing an uninsured motorist claim. Make sure you’re aware of any time restrictions that involve these claims, too. Once you file this claim, you’ll then work out a deal with your insurance agent. If you can’t agree to a settlement, then it’s not the end of the world. This just means that your case will move on to either the arbitration or litigation stage. Driving without auto insurance can lead to all sorts of problems. Florida drivers must always have the minimum required car insurance. The minimum car insurance requirement in Florida is $10,000 personal injury protection (PIP) and $10,000 property damage liability (PDL). If you drive without auto insurance in Florida, you should be aware of all of the unpleasant consequences you may face if caught by law enforcement or involved in an auto accident. Examples include license suspension, license plate confiscation and even potential criminal charges. If you want to protect yourself from these awful scenarios, you need to make sure that you always have auto insurance coverage, plain and simple. Top-quality legal counsel and guidance is imperative for people who are part of auto accidents that involve uninsured motorists. A reputable and experienced personal injury lawyer can help you figure out exactly what you need to do to get proper compensation. Car accident cases involving an uninsured driver can be confusing, overwhelming and frustrating to figure out all by yourself. That’s precisely why you should seek the assistance of a seasoned and knowledgeable professional who is well-versed in Florida law. At Lorenzo & Lorenzo, our Tampa, Florida personal injury attorneys have fought on behalf of countless people who have been part of car accidents with uninsured motorists throughout the years. If you or a loved one have sustained injuries as a result of driver negligence in any way, we can come to your aid. Get in touch with us as soon as possible to find out more about how we can help you. We’re a bilingual practice that offers assistance in Spanish, too.